When asked “Do you know what engineering is?” most people will emphatically reply that they do; however, when they’re then asked what does an engineer do? What is something you have used today that has been engineered?”, they struggle. Engineering can be defined as the application of practical and scientific knowledge to the solving of a problem through the use of a methodical process. More simply put, at its most fundamental level engineering is problem solving. The above definition mentions that engineers apply practical and scientific knowledge to their problem solving. Some would say that engineers take scientific knowledge and find a practical application for it to benefit humanity. To be successful, engineers must become familiar with a wide variety of fields, and experts in some specific fields. In order to design the above bracket to mount a TV to a wall, an engineer would need a wide variety of background knowledge. They might need to draw on knowledge of classical mechanics to determine the forces the TV would exert on the bracket. They would need knowledge of structural design to figure out a bracket capable of withstanding the forces. The engineer would need background in the manufacturing processes that are required to make the bracket, and design it so it can actually be produced. They would need some background on the types of surfaces it would mount to, and the screws & nuts that would be used to mount it so they can determine what screws to use and how many screws are required to keep the bracket from falling off the wall. The engineer would need some basic idea of how the bracket would be installed by the final customer and create a good user experience, as well as knowledge of how the bracket would be used after it is installed (to be a good product, does it need to tilt up and down? Does it need to tilt left and right?). 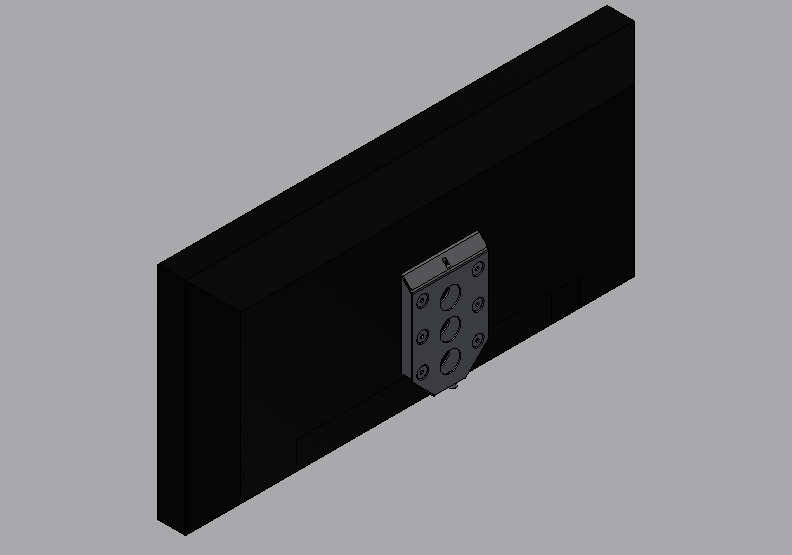 The engineer would also need some knowledge of TVs; to be a good product, the bracket will hopefully be able to mount a wide variety of television sets – are there any standards TV manufacturers design for which would allow for universal mounting? This knowledge is all necessary to engineer and design the best possible solution. The example above includes a variety of the different types of scientific knowledge. It also has quite a bit of practical knowledge. So where do engineers get all this knowledge? Much of it would be learned through higher education – to become an engineer, one must complete a degree program from an accredited engineering college in the field they which to practice in. The rest of the knowledge would be learned through training, or on-the-job experience. For example, a young engineer may be taught about types of fastening hardware (nuts & bolts) from a more experienced engineer during their first few years of work. The term “design” was listed above, but what exactly does this mean? When it is said “engineers design a bracket” what is being described? A simpler definition might be: Design is thinking of and creating something new, or adapting something old to solve a problem and/or satisfy a need. One should note that this definition has the key words “problem solving” again. There are many different types of engineers, each specializing in a different field of knowledge, each with a specific set of problems they specialize in solving. There are almost as many fields of engineering as there are fields of scientific inquiry! Some examples are listed below. Keep in mind that this list is not all-inclusive. This curriculum will discuss a few concepts which are relevant to ALL of these types of engineering, and touch on others more specifically related to the field of robotics including Robotics Engineering, Mechanical Engineering, Electrical Engineering, Computer Engineering, and others. So what happens if the problem being solved is so large and complicated that it involves more scientific and practical knowledge than any one engineer can understand? This happens all the time! This is why engineers commonly work together as part of a Design Team. Engineering was defined at the beginning of this unit as the application of practical and scientific knowledge to the solving of a problem through the use of a methodical process. Discussed above were some different types of knowledge that engineers apply to solving a problem, but the process itself has not been mentioned. What methodical process do engineers use to solve problems? The engineering design process is a series of steps that engineers follow when they are trying to solve a problem and design a solution for something; it is a methodical approach to problem solving. This is similar to the “Scientific Method” which is taught to young scientists. There is no single universally accepted design process. It seems as though most engineers have their own twist for how the process works. 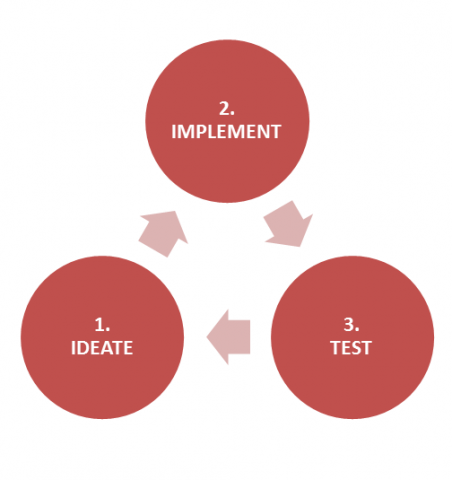 The process generally starts with a problem and ends with a solution, but the middle steps can vary. One can think of the engineering design process as a recipe for banana bread; it can be made a lot of different ways but it’s usually going to start with bananas and it’s going to end with a loaf of bread. One such “recipe” for the engineering design process will be outlined in this unit; this is not the only correct version of the process, it is just one example. It will provide a good starting point for students to explore the engineering process. As discussed above, there is no single engineering design process. Throughout this course students will use an 11-step design process as they conceptualize, design, and create a robot to compete in head-to-head robotics competition. The process used is seen below. Step 10 – TEST – Does the Solution Work? One should always keep an open mind. It is important to allow crazy ideas to develop. The most likely time for a creative solution to be found is early in the design process when wild ideas are expressed. One should not become defensive regarding the opinions of others. Defend one’s own opinions and ideas but always focus on the ultimate goal of providing the best solution possible. One should always stay positive, even when discussing negatives. Engineering is based in logic. One should focus on factual arguments, not those based on opinions. Emotion should not be allowed to interfere with the process. It is important not to be offended if disagreements occur, even if things get heated and criticisms are overly harsh. Most engineers get passionate during design discussions and will often be very blunt. It is important not to take this personally. An unjustified opinion is not useful. Team members must be able to describe WHY they like or dislike something. This is NOT rhetoric, it is engineering. In rhetoric, the person who argues best will be most persuasive. In engineering, the person who has the best argument will be most persuasive. It is not the one who can speak the best but the one who can provide quantitative proof that will win an argument and prove their idea is better! It is important to be quantitative wherever possible. Using nothing but ten letter size sheets of paper, students must create a freestanding tower as tall as possible in 30 minutes. Students are required to spend 5 minutes planning and designing their tower before they receive any materials. Students will then be given ten sheets of paper and allowed ten minutes for prototyping; at the end of the prototyping period ALL paper and prototypes will be collected. Teams will then be given 15 minutes to implement their final tower design. The tower must remain freestanding for at least 30 seconds for its height to count. What is something that you have used today that was designed by an engineer? Why are constraints and limits an important part of the engineering process? Describe the process used to design and build your tower. List each step. How did you or did you not follow the engineering process? How many solutions did your team consider? Did you think about the possibilities enough? Did you divide up the work or all focus on the same task? What were some ways your team worked well? What were some ways you could have worked better?